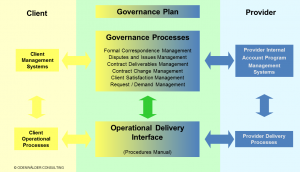 ODENWÄLDER CONSULTING helps you to establish a Governance System complete with boards and governance processes. The success of an outsourcing contract depends primarily on its implementation. 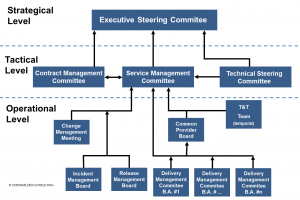 Successful outsourcing requires an efficient contract management from the very beginning. 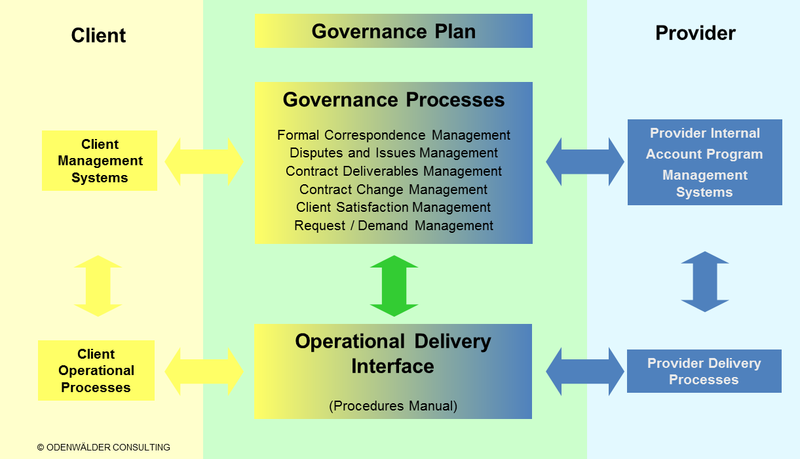 ODENWÄLDER CONSULTING will help you set up such governance processes and helps you manage the process. Contract baselines management – provides a structured process for identifying and validating the baselines, assigning appropriate ownership and analyzing the baselines with respect to actual usage. Contract change management – provides a structured process for managing and implementing mutually acceptable amendments to the agreement. 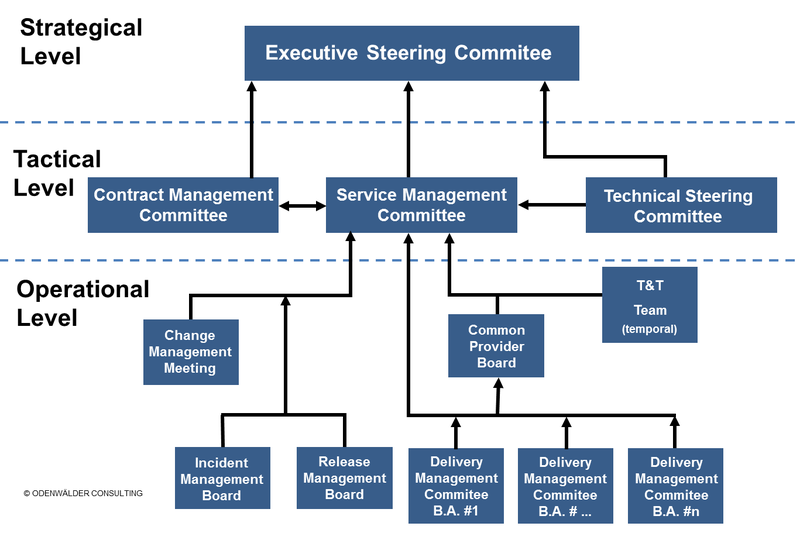 Contract deliverables management – provides a structured process for managing on-time delivery and for meeting predefined completion criteria whether imposed contractually or by Service Provider management. 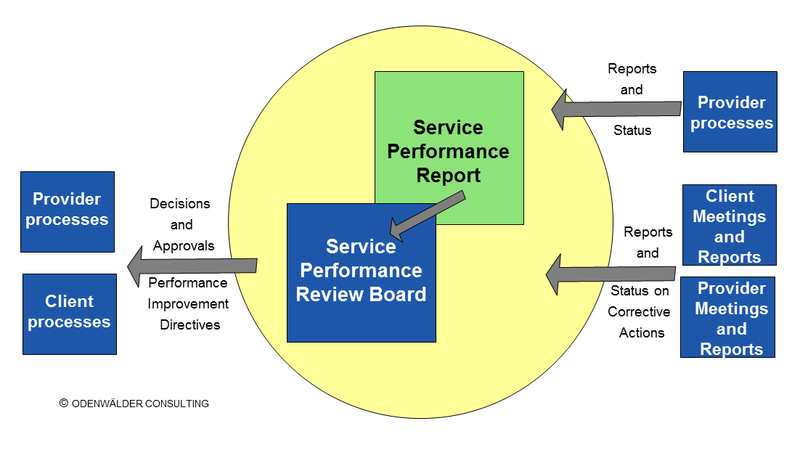 Contract and service performance management – provides a structured process for ensuring that the program meets the client’s performance expectations in conformance with the service level agreements, the timeliness and quality of the deliverables, and implementation of requirements. This service also ensures that the client is kept informed with respect to services being provided and to the extent that it is affected. Formal correspondence management – validates and tracks submission and receipt of formal written and email communication between Service Provider and its clients. Program document control – provides an assurance, posting, and notification / distribution service for updates to program documents. 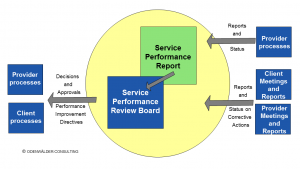 Demand / Request Management – used for evaluating and responding to client requests, whether in-scope or out-of-scope. 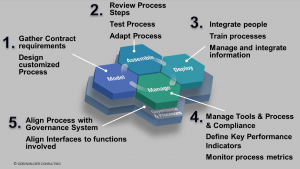 ODENWÄLDER CONSULTING can help you to assess process maturity. 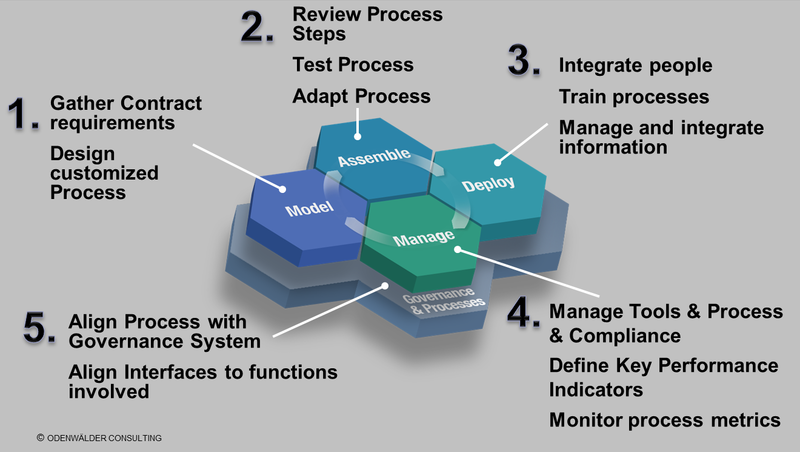 The Process Maturity Assessment will reveal how sustainable the processes are established and how robust and compliant they are practiced. 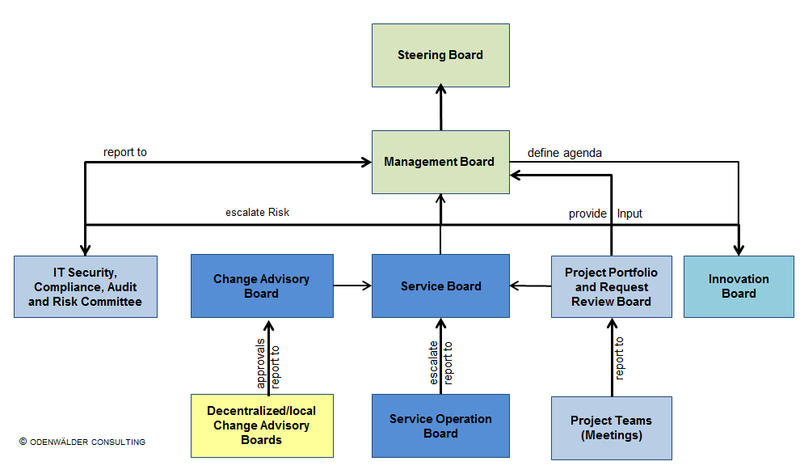 The process maturity assessment results in a plan to speed up processes, improving compliance with corporate instructions and policies, and enhance the internal Audit Readiness. Optimizing processes means adapting processes so that they support the business objectives efficiently and economically. 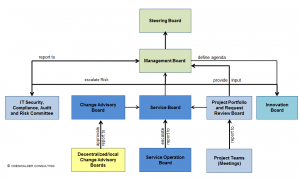 ODENWÄLDER CONSULTING supports the set-up of the Service Provider Delivery Management System (DMS) which is used to define or update the processes, procedures, reporting and governance required for the daily management of the delivery organization.